Is The Sam McKnight Cool Girl Mist Worth The Hype? Ahhh, Instagrammable haircare - the bane of my bank account. I just can't help, but gaze at the dreamy pink packaging and the clearly picked typography... and wonder if the products stand up to the hype. When I purchased the Sam McKnight Cool Girl Texture Mist I was expecting fireworks and life changing results, but did it do just that? The answer is no, well sort of. The results certainly weren't what I built them up to be in my head, but it did help with the dreaded flyaway hair that follows after washing my locks and helped to add a little va-va-voom. The problem I have with it is with my seven day wash circle, it only really did something two of those days at the beginning and the other five when my hair no longer felt as soft and unmanageable, I just didn't see a difference. This doesn't mean I wouldn't repurchase it though, I think I would go for the smaller can next time as I don't think I'll make my way through it any time soon. It definitely means that I can throw my hair up into a bun without it falling out ten minutes later due to my locks feeling too soft which is great and it doesn't leave any residue in my hair either meaning I don't feel like I need a good ol' shampoo a few days too early. I simply tip my hair forward and spray towards the roots, scrunching my hair up as I go for a tousled look. I would rather use a salt spray or something that adds more texture throughout the week, so will stick to using this just after wash day. I think if you're looking to give it a try to see what it's like for yourself then I'd say yes, but if you're not into adding any extra haircare into your routine then I'd recommend giving it a miss. 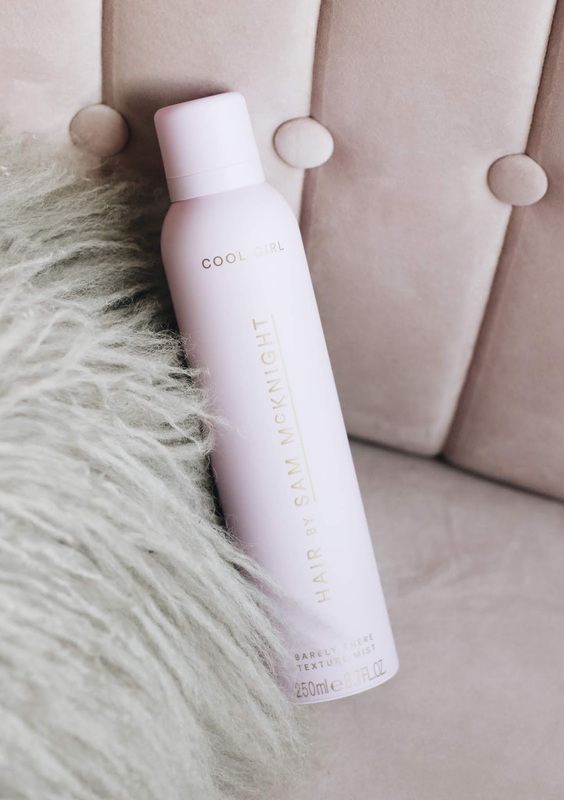 Have you tried the Sam McKnight Cool Girl Spray?